This river trip is a fantastic slow full day paddle starting on Bedford’s Victorian Embankment at a local café before heading off to explore Bedfordshire’s the rural countryside by canoe or kayak or SUP. The river banks are teeming with wildlife with birds of prey, herons, the occasional grass snake and flitting electric blue kingfishers. There are three portage points where you will have the opportunity to stretch your legs and walk around obstacles. Many customers use these portage points to grab a bite to eat or enjoy a picnic. 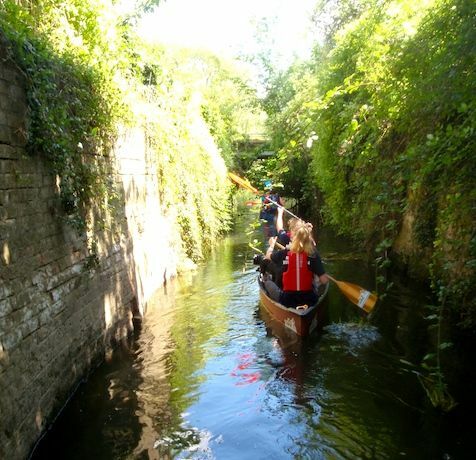 You will paddle around a local country park and then downstream passing our woodland campsite and also the Danish Camp, a great location for tea, cake or something more substantial. You are near the end of your paddling adventure. Your paddling trip will finish at Great Barford Bridge.